Chicago film critic Jan Lisa Huttner recently earned her third Silver Feather Award for writing the most award-winning articles in the Illinois Woman's Press Association's annual Mate E. Palmer Communications Contest. Huttner made international news in 2009 when she questioned why Loveleen Tandan (the credited co-director of Slumdog Millionaire) became an “invisible woman” just as Slumdog began generating serious Oscar buzz, thereby setting the stage for March 7, 2010, when Kathryn Bigelow became the first woman in history to win an Oscar in the Best Director category. Huttner’s passionate posts about the “Slumdog Brouhaha” on her blog, The Hot Pink Pen, won first place in IWPA’s Website Development/Creation category, then placed third in national competition when IWPA passed it up to its parent organization, the National Federation of Press Women. “WomenArts is extremely proud of our friend and colleague, Jan Lisa Huttner,” said Martha Richards, executive director for WomenArts. “In addition to being an excellent film critic, Jan is a powerful advocate for women in the film industry." 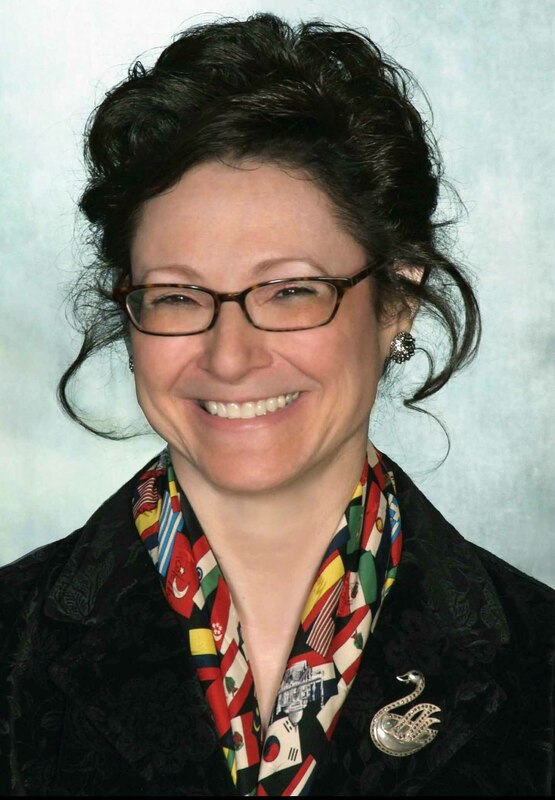 Chicago critic Jan Lisa Huttner recently earned her third Silver Feather Award for writing the most award-winning articles in the Illinois Woman’s Press Association’s annual Mate E. Palmer Communications Contest. This year, Huttner received three first-place awards, four second-place awards, two third-place awards and four honorable mentions for 13 features, interviews, reviews and speeches she wrote for Chicago YIVO, the College of Complexes, JUF News, and WomenArts, as well as her website (Films for Two: The Online Guide for Busy Couples) and her blog (The Hot Pink Pen). She garnered honors in numerous categories, including Writing for Print, Writing for the Web, Website Development and Public Presentations. In 2009, Huttner made news when she questioned why Loveleen Tandan (the credited co-director of Slumdog Millionaire) became an “invisible woman” just as Slumdog began generating serious Oscar buzz. “Knowing that Loveleen Tandan was a critical part of Slumdog’s filmmaking and marketing phases, how can we all sit by and watch while she’s totally ignored in the awards phase?,” Huttner asked (in a blog post dated Jan. 23, 2009). Huttner’s question attracted international attention (from the Wall Street Journal to the London Evening Standard to the South China Morning News) and set the stage for March 7, 2010, when Kathryn Bigelow became the first woman in history to win an Oscar in the Best Director category. Huttner’s passionate posts about the “Slumdog Brouhaha” on her blog, The Hot Pink Pen, won first place in IWPA’s Website Development/Creation category, then placed third in national competition when IWPA passed it up to its parent organization, the National Federation of Press Women. And her review of Bigelow’s film The Hurt Locker for WomenArts (which included an appendix called “Can We Talk?” targeting female audiences) won second place in IWPA’s Web Commentary category. In addition to Bigelow’s Oscar for Best Director, The Hurt Locker received five more including Best Picture. In addition to promoting such established women filmmakers as Kathryn Bigelow, Huttner actively seeks out talented women working below the mainstream radar. Gaylen Ross, director of the controversial 2009 documentary Killing Kasztner: The Jew Who Dealt with Nazis, described her interview experience as follows: “It was one of the most intensive, cogent and professional interviews I was to experience and enjoy during the theatrical release of my film. Jan had done her homework, and I was never misquoted!,” Ross said. “The entire experience was a joy and I’m delighted with Jan’s Silver Feather Award.” Huttner’s interview with Ross for Films for Two won second place in the category Web Content Written for a Special Interest Site. Huttner previously received the Silver Feather Award in 2006, when she won two first-place awards, two second-place awards, three third-place awards and an honorable mention for 14 articles, interviews and reviews. One of her JUF News submissions (“Israeli Films: Coming Soon to a Theatre Near You”) went on to receive honorable mention from IWPA’s parent organization, the National Federation of Press Women in the category Best Web Content Written for Nonprofit or Educational Site. In 2005, she first won the Silver Feather Award with 10 honors, one of which (her Women eNews submission “Works of 11 Female Artists Are Oscar Nominees”) went on to win first place in NFPW’s category“News Articles Written Specifically for the Web." In 2010 the IWPA honored 33 members for award-winning entries at its May 15 awards luncheon and 125th anniversary celebration at the Union League Club of Chicago. The most competitive categories this year were Feature Story, Special Articles and Writing for the Web. This competition covered a range of categories in print and electronic media, books, photography, advertising and public relations. All first-place entries were forwarded to NFPW for national judging. Winners, including Huttner, will receive their awards at the national conference to be held Aug. 26-28 in Chicago. For links to all of Huttner’s award-winning submissions, visit: http://www.films42.com/feature/2010-FeatherAward.asp. Jan Lisa Huttner is an award-winning Chicago critic/columnist who holds masters degrees in psychology from Harvard University and the University of Chicago. In addition to IWPA, the Chicago Film Critics Association, and the Women Film Critics Circle, she is a member of the Association for Women Journalists – Chicago, as well as the Chicago Branch of the American Association of University Women (AAUW), and the Chicago-based organization International Women Associates (IWA). In 2004, during her term as Director of College/University Relations for AAUW-Illinois, Jan became the coordinator of a new initiative called WITASWAN (Women in the Audience Supporting Women Artists Now). Under the leadership of WomenArts, WITASWAN has since expanded to become “International SWAN Day.” In 2010, more than 170 groups in 11 different countries celebrated the third annual International SWAN Day. The fourth annual “International SWAN Day” is scheduled for Saturday, March 26, 2011. The Illinois Woman’s Press Association (IWPA) is part of the National Federation of Press Women (NFPW), an organization of professional women and men pursuing careers across the communication spectrum. Members work in print and electronic journalism, public relations, graphic design, new media, marketing, photography, book publishing, education and more. For more information about IWPA, email iwpa(at)concast(dot)net, visit the website at http://www.iwpa.org or call (312) 458-9151. Contact NFPW at presswomen(at)aol(dot)com, http://www.nfpw.org or (800) 780-2715. 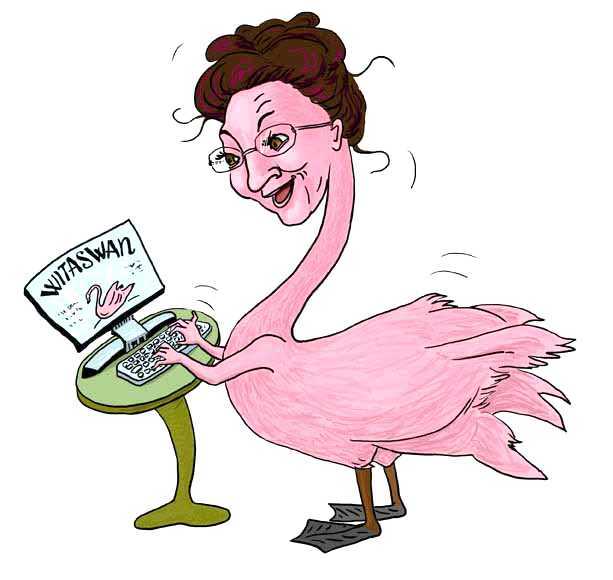 Jan Lisa HuttnerPhoto Credit: Jennifer Girard (2007) Copyright: Melissa Wilks (2009)WITASWAN Logo Copyright: Sharon Rosenzweig (2007)"Penny" Cartoon (Note: A female swan is called "a Pen.") Copyright: WomenArts (2008)Designed by Melissa Wilks for WomenArts.